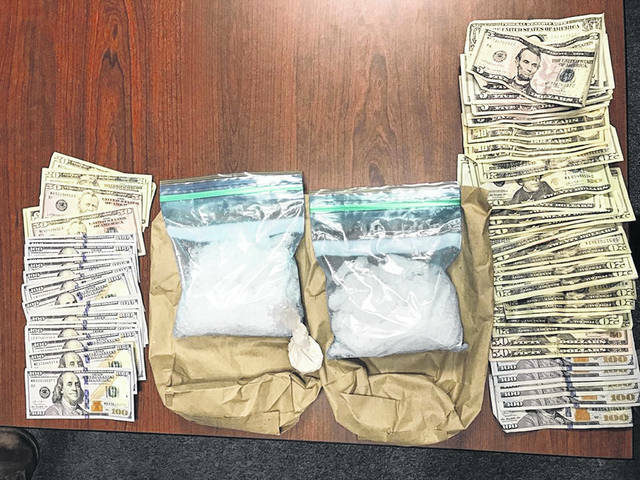 Possibly the largest seizure of crystal methamphetamine in Scioto County took place over the weekend, according to Scioto County Sheriff Marty Donini and Portsmouth Police Chief Robert Ware. On Saturday at approximately 9:50 p.m., task force officers assisted troopers with the Ohio State Highway Patrol who had stopped a vehicle occupied by 23 year old Alyssa Hinson of Scioto Trail Portsmouth, and 22 year old James Rutledge III of Dayton, in the 10000 block of US 23 Southbound in Lucasville. After an alert on the vehicle by OSHP canine Bruno, a subsequent search resulted in the discovery of approximately two pounds of suspected crystal methamphetamine, also known as Ice, 14 grams of suspected heroin / fentanyl, and $3,396 cash. The suspected drugs had an estimated street value of $56,000. After Hinson and Rutledge III were taken into custody, officers executed a search warrant at Hinson’s residence located at 2601 Scioto Trail and with the assistance of Portsmouth Police Dept. Canine Dark, seized eight small plastic bags containing a powder that has not yet been identified along with digital scales and 13 Oxycodone pills. 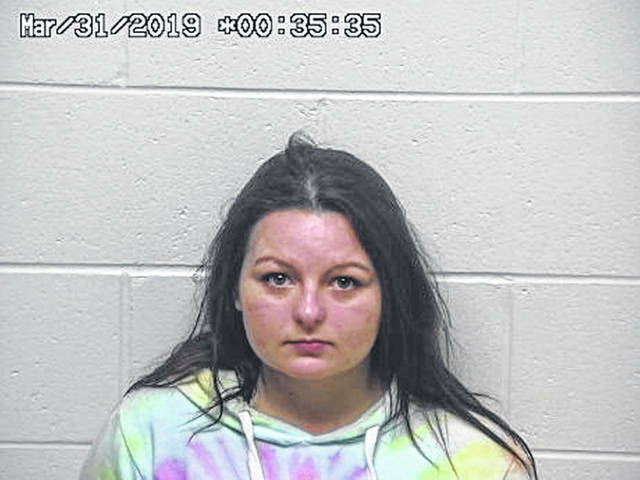 Hinson and Rutledge III were charged with trafficking and possession of drugs, both felonies of the first degree, and placed in the Scioto County Jail. Rutledge III also had an outstanding warrant for his arrest for violating probation stemming from a felony drug conviction in Butler County. Hinson and Rutledge III were to be arraigned in Portsmouth Municipal Court on Monday at 9:00a.m. 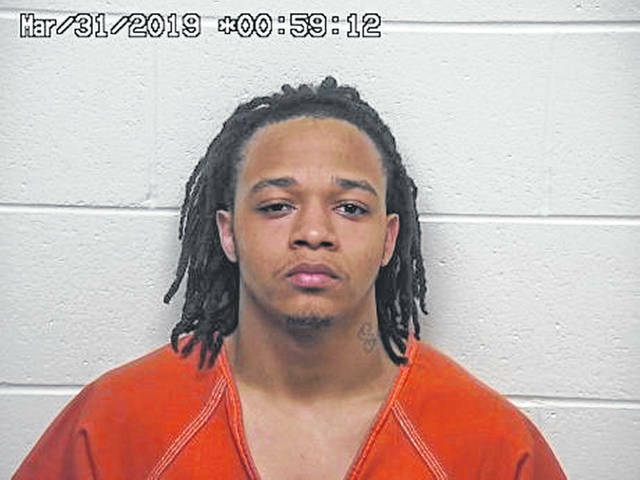 The case against Hinson and Rutledge III will eventually be forwarded to the Scioto County Prosecutor’s Office to be presented to a Scioto County Grand Jury for the consideration of additional felony drug charges.